The Social Address Book is your address book of your contacts in all social networks. Browse your contacts on Facebook, Twitter, LinkedIn, Xing, Google Contacts, Soundcloud or Foursquare as if they are in your local address book. This app is retired due to lack of resources, sorry! The app starts with contacts from your local address book. 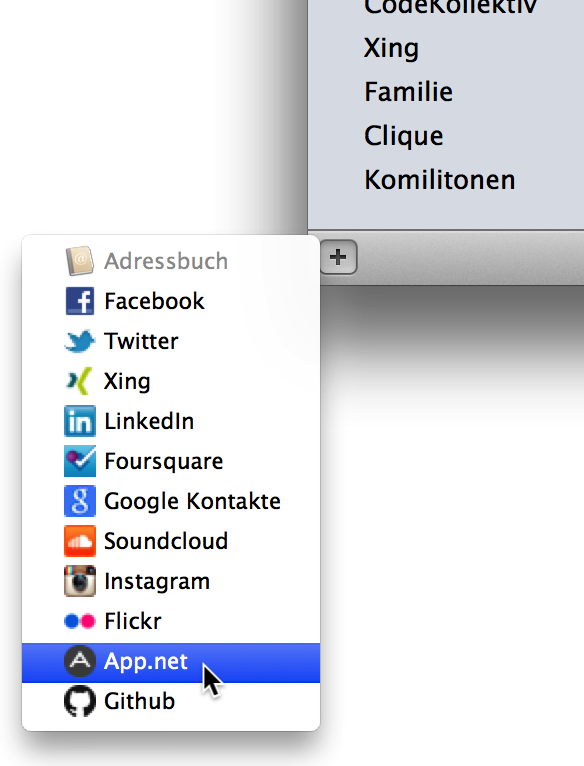 You can add your social networks by clicking the + button in the lower left corner. 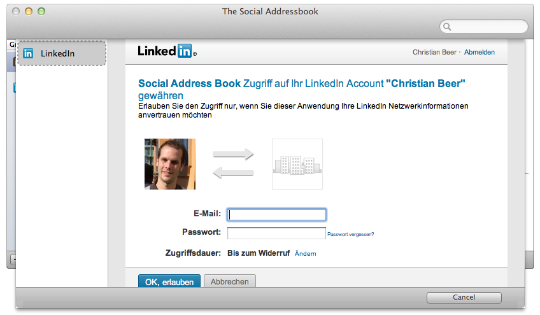 The Social Address Book opens the website of the social networks for authentication. Your username and password are not stored by The Social Addressbook! 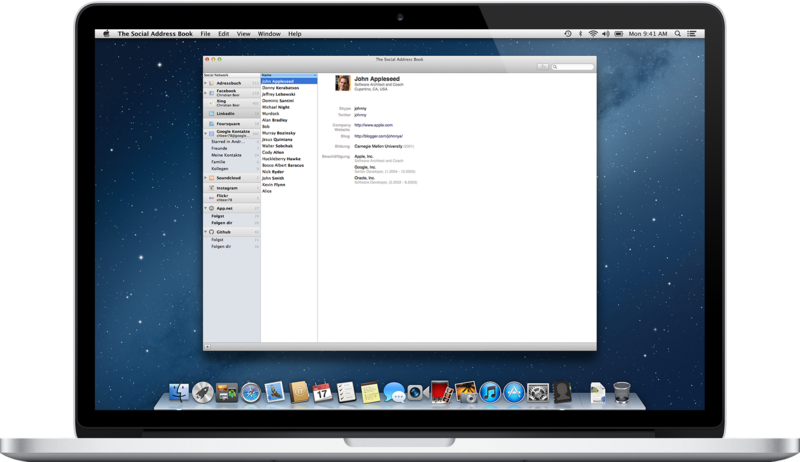 Only a limited token is stored securely in the Keystore app of OS X. 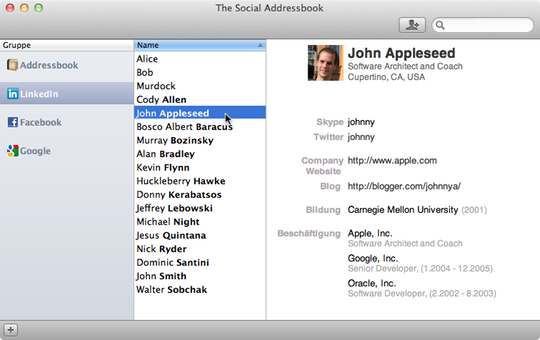 The Social Address Book does not load all of your contacts data to your mac. Only the names of all your contacts are stored for performance reasons. As soon as you select a contact, the information is loaded from the social network. You decide which of your contacts from Facebook, LinkedIn and Xing are added to your local address book. You can add those contacts with a single click. Senior iOS and macOS developer.